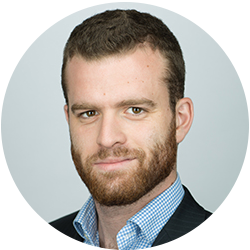 Anastassios Adamopoulos is Lloyd’s List’s news reporter based in London. He contributes to Lloyd’s List’s coverage of daily developments across a number of shipping industry beats with a focus on the UK and Europe. Anastassios has written about and is interested in port operations, seafarer safety as well as maritime security and intelligence, among other topics. Having grown up in Greece, Anastassios has always been interested in shipping and its interaction with global trade and policy. Prior to joining Lloyd’s List, Anastassios worked for the Greek Reporter in the United States, covering daily news surrounding Greece. He has also interned at Marine Money Magazine’s editorial department. More recently, he interned at the Atlantic Council, a foreign policy think tank in Washington, working on transatlantic relations and the European Union. Anastassios received his undergraduate degree in political science in 2015 from the University of Michigan, where he also worked as a news reporter for the university's newspaper, the Michigan Daily.